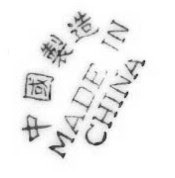 Today, "Made in China" increasingly means innovated in China. So argues a new report from the Cleantech Group released last week, "Cleantech Innovation in China." China became the world’s largest cleantech investor in 2009, pumping government investment into R&D and innovation incubators, but also attracting an increasing share of private money, as well as interest from the global marketplace. According to the report, however, Chinese companies still need to rely on multinational corporations from other countries with a tradition of cleantech innovation and expansion for their success. This points to some potential opportunity for US-based companies. In addition, China faces increased resource constraints and troublesome levels of pollution, water shortages, population growth, and other environmental risks that may hinder its progress over the long-term. "Energy insecurity and poor environmental quality are threats," according to the report. "And addressing them is not only a key factor in managing the risk of domestic discontent but also a prime opportunity to create local jobs and develop local expertise." Patent filing in China grew 29.7% in 2009, bucking the unprecedented decline in global patent filings due to the global economic crisis. China is now 4th in the world in patent origin in six key clean technologies including wind, biomass, and cleaner coal. The Chinese government has increased R&D spending while decentralizing R&D institutions and encouraging partnerships with the private sector, preparing China to be especially competitive in the world market. China is innovating beyond the solar sector. 70% of cleantech venture capital deals between 2006 and 2009 were outside of solar. Materials science, agriculture, water and wastewater, energy storage and energy efficiency have emerged as key areas of interest. For the first time, in 2009, China accounted for the largest share of money raised from cleantech IPOs (69%), well ahead of the US’s 26%. By number of deals China also had the majority with 17 of the 32 global cleantech IPOs tracked in 2009. Of the current crop of Cleantech IPOs on the ChiNext exchange in 2010, many are from water and energy storage. We agree with the authors of the report that "China’s level of cleantech innovation today should not be over-inflated," but neither should its potential be underestimated. As the report suggests, "the question is no longer whether a China strategy should be adopted for cleantech innovation, but rather how it should be adopted." Download a copy of the report summary here.